The culmination of the International Conference for Free Speech and Human Rights on July 9 2012 was the reading and signing of the Brussels Declaration. 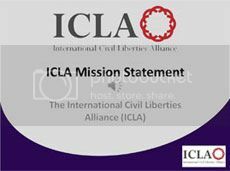 The Declaration sets up a global strategic line of action against the worldwide Islamic enforcement program for Shariah Law. In the video below, Alain Wagner introduces the document, after which I read the text of the resolution, and then Elisabeth Sabaditsch-Wolff reads the eight requirements demanded of our governments. 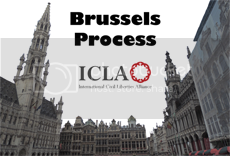 The signing of this document marks the beginning of the Brussels Process, an ongoing initiative which aims to protect free speech and individual liberty from being undermined by proponents of Shariah Law.